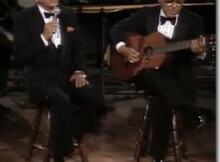 Still, Sinatra was doing some very fine live work during this time. His voice had declined technically as an instrument, but he knew extraordinarily well how to use it, and had the courage on stage to tackle new and interesting arrangements even with those aging pipes. 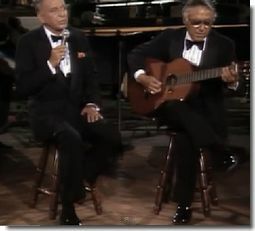 A highlight of his shows in this era would always be a “duet” with the superb guitar player (and his fellow New Jersey native) Tony Mottola, on something like “As Time Goes By” or “Send in the Clowns.” There would actually be three instruments on stage during these interludes: Tony Mottola’s guitar, Sinatra’s voice, and Sinatra’s microphone. Each was played masterfully. 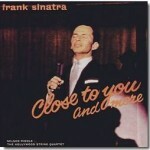 In 1983, in between albums (and at the age of 68), Sinatra was still doing some studio work as it suited him. And a song happened to come along that was apparently written with him in mind, by the famous melodist Jule Styne and the relatively young lyricist Susan Birkenhead. It was a gentle tune called “It’s Sunday,” the words being a reflection on the quiet love of an older couple: just the simple pleasures and the comfortable company of one another. Frank knew a treasure when he heard it, and he wanted to record it. He asked arranger Peter Matz for a chart, and attempted it in the studio with orchestra, but it did not satisfy him. So then he asked frequent collaborator Don Costa for an arrangement; this one didn’t satisfy him either. He said he needed something more intimate: he asked Costa to listen to him sing it with just Tony Mottola on guitar, as a frame of reference. So, Costa wrote yet another arrangement. This one too failed to satisfy Frank. You can see where this is going. Frank ultimately recorded “It’s Sunday” with Tony Mottola alone: just voice, guitar, and microphone. It was issued on a 45 rpm record in 1983, as the b-side to another song written with Sinatra in mind titled “Here’s To The Band” (itself a very fine and fun work-out even if it’s not an inherently tremendous song). Perhaps it is the case that many of us do our finest work in relatively unheralded moments. 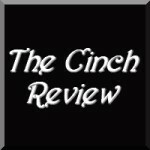 This might apply not only to the artistic among us, but to all people; instead of it being when we are pursuing some grand goal and achievement, maybe we actually shine best in those quiet minutes when we are just doing what we need to do, but doing it exceedingly well, attending to the small things with loyalty and true effort. Certainly, when Frank Sinatra sat in that studio in 1983 with Tony Mottola and his guitar, and sang “It’s Sunday,” for what would merely be the b-side of a 45 rpm record that few ultimately cared about, he was doing work as fine as any he had done with much greater fanfare and attention. Listen, and—despite the weaknesses that age had brought to his voice—just try to imagine anyone who could sing this song with the level of sensitivity and nuance that Sinatra delivers. Each phrasing and every pause, all the dynamics and timing of this performance are beyond perfection, and at the same time so thoroughly understated that they pass virtually beyond notice, which is actually the ultimate compliment. 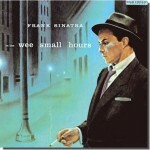 Sinatra’s performance tells anyone who is listening that despite his various recorded forays into schlockiness from the late 1960s on (in obvious pursuit of the pop charts), he remained fundamentally a singer of extraordinary discernment and taste, and, when he granted himself the freedom to do just what he wanted to do, he could always do something truly astounding. Listening to this recording cannot but make Sinatra fans dream of what he might have done had he focused on this approach and made a whole album of such intimate and mature ballads at this stage of his career. He might have achieved something enormous, something to compare with his very greatest albums like In the Wee Small Hours and Only the Lonely. He could have made something gigantic and timeless, truly for the ages.